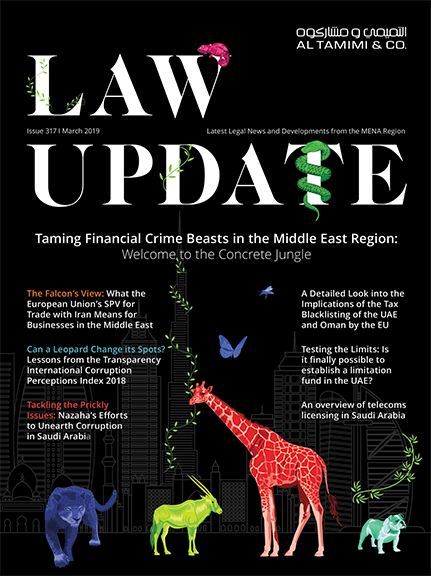 In our August 2010 Law Update, Al Tamimi & Company reported the first decision of a Court in the UAE to recognise and enforce a foreign arbitral award pursuant to the New York Convention. In our August 2010 Law Update, Al Tamimi & Company reported the first decision of a Court in the UAE to recognise and enforce a foreign arbitral award pursuant to the New York Convention. Since the Fujairah Court’s decision, the Dubai Court of First Instance has provided yet more comfort to those engaged in international trade and commerce by recognising and enforcing a foreign arbitral award, despite the vociferous objections and challenge by the local Defendant. This decision is pending appeal but already the Emirate of Dubai has already become a substantially safer port in the international arbitration world than at anytime in its trading history. Although there is no system of binding precedent which guarantees any future applicant the same result, the principles set out by the Full Bench of Dubai Court’s Commercial Division provide something of a sea chart (or road map) for those applicants seeking to have recognised and enforced their foreign awards in this jurisdiction. The recent ruling ratified for execution of two arbitral awards from a sole arbitrator seated in London who determined a trade dispute under the DIFC-LCIA Arbitration Rules in November 2009. The parties were respectively a Free Zone entity and a Limited Liability Company both from Dubai. The Award comprises essentially two awards, namely a substantive award on the merits of the case followed by an award dealing with the costs of the arbitration. The application by the Plaintiff to the Dubai Court to “ratify” or “confirm” the Award and to uphold a provisional attachment order as valid and enforceable against the Defendant was challenged on a number of grounds. Thus, the Court was called upon to deal with the Defendant’s many arguments refuting the validity and authenticity of the arbitration agreement and the proceedings, which had the effect of obstructing and delaying the due recognition and the enforcement of the Award for nearly 12 months. The Dubai Defendant contended for many of the grounds of annulment often deployed to set aside domestic arbitral awards (as set out in Article 216 of the Civil Procedure Code) notwithstanding its active participation in the arbitration proceedings. In rejecting the Defendant’s submissions, the Court reasoned that the Articles of the Civil Procedure Law prescribing “validation” of domestic arbitral awards and those otherwise issued in the UAE did not apply. Instead the applicable rules were those set out in the New York Convention itself regarding the recognition and enforcement of foreign awards. The parties had agreed to apply DIFC-LCIA Rules which were thereby deemed incorporated as terms of the arbitration agreement. The Dubai Court held: “The Court’s supervisory role when looking to recognise and enforce a foreign arbitral award is strictly to ensure that it does not conflict with the Federal Decree under which the UAE acceded to the New York Convention on the recognition and enforcement of foreign arbitral awards and satisfies the applicable procedural and substantive requirements of Articles IV and V of the Decree in terms of being duly authenticated”. In short, the Court stated that it would not entertain a review of the merits of the Arbitrator’s decision (including her decision as to her jurisdiction in light of the arguments raised by the Defendant during the course of the arbitration). Instead, the Court required only sufficient proof of the arbitration agreement and sufficient proof of the authenticity of the arbitration agreement and of the Award of the arbitrator appointed in accordance with the arbitration agreement. Despite all of the Defendant’s allegations regarding the invalidity of and indeed potential forgery of signatures on the original contract, the alleged lack of authority of the contract’s signatory and other complaints which might ordinarily ground an application to set aside a domestic award, the Court observed that the burden fell to the Defendant to make good any allegations that the New York Convention procedures had not been observed. The Defendant had made no application in London, the seat of the arbitration, to set aside or invalidate the Award under the applicable law of the arbitration. The Court ruled that it had no jurisdiction to hear the Defendant’s complaints predicated on grounds different from those set out in the New York Convention and there being prima facie evidence of the authenticity of and validity of the arbitration agreement and the Award, then there was no reason to deny its recognition and enforcement accordingly. The Court expressly excluded from application section 4 (Articles 235, 236 and following) of the Civil Procedure Law regarding enforcement of foreign judgements and foreign arbitration awards generally. These rules pre-date the UAE becoming party to the New York Convention and tend to require the applicant to re-litigate substantive issues of jurisdiction in any event and to bear the burden of establishing that no impediment exists to preclude enforcement under UAE law. These cumbersome protectionist procedures are precisely what the New York Convention was designed to overcome. This is a fairly common reservation by early signatories (for example, by both the UK and USA) but curiously, there was some confusion about whether or not UAE had so reserved. The United Nations has since confirmed not and recently amended and updated its treaty status report to correct the error. On this basis, the provisions of the UAE Law on Civil Procedure regarding recognition of foreign arbitral awards arguably have been rendered obsolete. Thus, even arbitral awards of non-Convention States (of which admittedly there are few in the world) will fall to be recognised and enforced in the UAE under the New York Convention [and/or under any other multi- or bi-lateral treaty, if more advantageous]. The grounds to challenge and resist recognition and enforcement of a foreign award under Article V of the New York Convention are substantially narrower than local procedures and the burden falls to a respondent to establish them. The award has not yet become binding on the parties, or has been set aside or suspended by a competent authority of the country in which, or under the law of which, that award was made. If the recognition or enforcement of the award would be contrary to public policy. Given the UAE’s unreserved accession to the New York Convention, all foreign arbitral awards should fall to be recognised and enforced in the UAE under the Convention procedures henceforth. But it remains to be seen just how expeditious and pro-enforcement the Courts of the UAE will be in practice when applying the law of the New York Convention if subject to a relevant challenge pursuant to Article V by a recalcitrant respondent. It may also be anticipated that such respondents will invite the Court to interpret the public policy exception expansively, so as to operate as a shield if public morals or Sharia are offended or even to protect what some foreigners might regard as purely local commercial interests.